Jared Beisel was not new to DraftKings but he had never tried fantasy football. 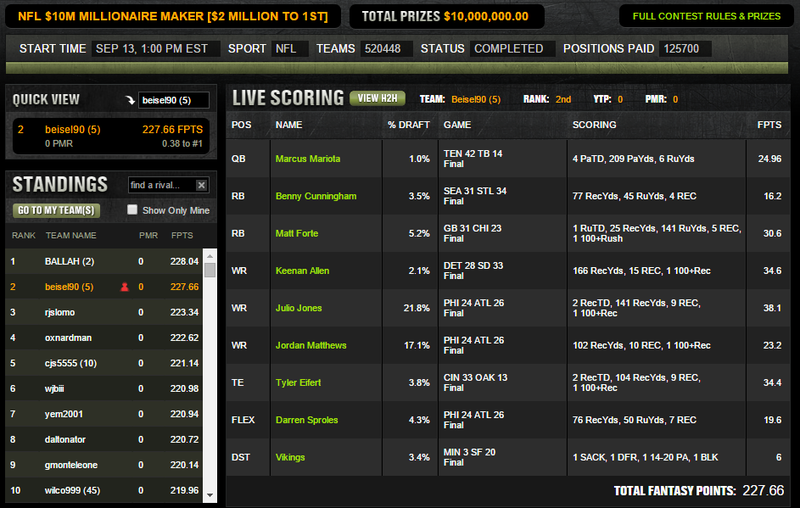 He entered the Week One Millionaire Maker Contest with just 5 lineups and finished second, landing himself a $1 Million paycheck. 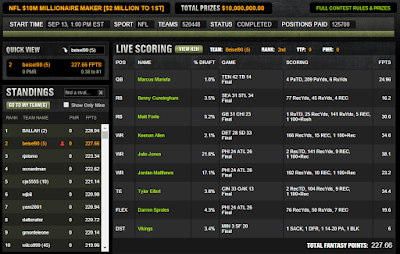 FBG: How long have you been playing Daily Fantasy Football on Draftkings? Do you play in any of the other sports and if so, what are they? JB: That was my very first week of playing, my favorite DraftKings sport is definitely golf and I do play baseball as much as I can. JB: I thought about making the change from Jordan Matthews and Julio Jones to Dez Bryant and Odell Becham but my brother told me not to. That was a massive decision. We will be bringing you more interviews with the DraftKings Millionaire Maker winners as the season continues.